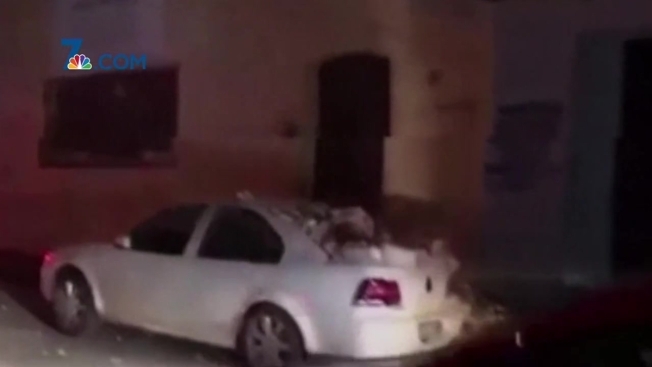 An 8.1 magnitude earthquake struck off the coast of Chiapas, Mexico Thursday night. At least 32 people have died and many structures have been destroyed or damaged. Seismologists studying the earthquake at the Scripps Institution of Oceanography at University of California, San Diego said they are 'confounded' by this quake. "This quake will tell us new information about the state of stress in this region and is likely to be studied for a long time," said Dr. Peter Davis of UCSD. Dr. Davis said scientists are perplexed because normally this region, where oceanic crust from the Pacific underthrusts the continental crust of Mexico and central America, should be a thrust fault. However, scientists learned the area is a normal fault. "It is not unprecedented to see strike slip or normal faulting in such a zone," explained Dr. Davis. "But it is very unusual." Dr. Davis added the aftershocks of this earthquake will be moderate to large for many weeks. "Some aftershocks will be large enough to be felt and a few will cause additional damage," said Dr. Davis. "This generates risk for structures damaged in the original quake and residents should be cautious about entering buildings before they are inspected by qualified engineers." A tsunami warning was issued immediately after the earthquake in the region but has since been lifted.